I am a contemporary outsider artist that believes in the healing properties of the natural environment. I paint landscapes in abstract as an expression of my connection with nature and its ability to provide me peaceful inspiration. As organisms on this earth I believe we are interconnected with nature and highly interdependent. But as the psycho-social environment we live in today gets ever increasingly complex its effects on us are becoming more pervasive, corroding and sophisticated. However, the energy, peace and serenity of our natural surroundings can provide a way of grounding our senses and healing our minds. I try to capture the interrelationship between my mind and nature as I see and feel it; it’s an expression of my soul captured on a physical medium and in a point in time. Going through the process in itself contributes to balance. And at times creativity can be the hammer of which to raise consciousness about pertinent issues that affect our world. Driven by my own lived experience, I am a self proclaimed arts-based advocate for mental health and strive to demystify and eliminate stigma around these issues. I have also come to find the combination of nature and creativity as powerful forms of medicine. 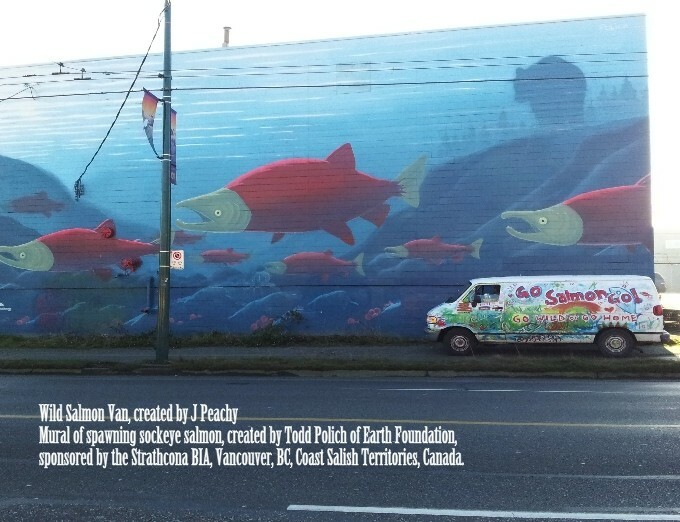 My initiatives in this regard include being a past collective member of the artist-run Gallery Gachet as well as many other collective art projects in Vancouver. A number of my projects are express through the different forms of community engaged programming such Sound Therapy Radio, Sound Therapy Arts TV, Wild Salmon Warrior Radio broadcasting on community based networks such CJSF 90.1 FM and on Shaw Cable 4 Vancouver. I have a true belief in human potential and in the statement; ‘art is a means for survival’, a term coined by Yoko Ono. Thank you Roger for the kind words, lets meet up and brainstorm soon. One other dog I know , jumps with s much Enthusiasm as this one does…What a Joy to bholed… BREATH TAKING… Merci…, pour la belle photo… / et du travail faite dansla Region / et Communauté…Radio Program I listened to ( Once upon A Time…,, )provided Great inspiration and serenity…Merçi / Thank You!!!! !